Anthony Domagala, age 97, of Cornell, WI. passed away on Wednesday, March 20, 2019 at the Cornell Health Services Center. Anthony was born on January 17, 1922 the son of Simon and Sophia (Buksa) Domagala in Minneapolis, MN. He grew up in Holcombe, WI on the family farm and later enlisted in the U.S. Army. During his enlistment he served in various locations including: Europe, Africa, and the Mediterranean. After his honorable discharge from the army he was united in marriage to Dorothy Hetchler on September 4, 1946 in Chippewa Falls, WI. Together they farmed for many years and also renovated various properties until his retirement. 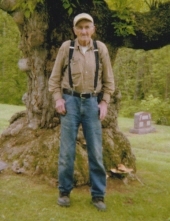 He then settled in Cornell, WI where he continued to live independently up until his passing. He enjoyed gardening and playing cards. Anthony is survived by many nieces and nephews. He is preceded in death by his wife - Dorothy, his parents, and 5 siblings - Jane Newbury, Sophia Sikora, John Domagala, Mary Skrypk, and Helen Erdman. A funeral service will be held at 1:00 pm on Tuesday, March 26th, 2019 at the Borton-Leiser Funeral Home in Cornell, WI. with Pastor Greg Sima officiating. Interment will follow the service at St. Joseph's Catholic Cemetery in Holcombe, WI. Visitation will be held 1 hour prior to service on Tuesday at the funeral home. To send flowers or a remembrance gift to the family of Anthony Domagala, please visit our Tribute Store. "Email Address" would like to share the life celebration of Anthony Domagala. Click on the "link" to go to share a favorite memory or leave a condolence message for the family.